After the hectic reading week that was Booktube-A-Thon, I've decided for Bout of Books 14 (I said I was eager for another readathon!) to read a lot fewer than seven books. I seem to forget sometimes I have other important things to do, like my MA dissertation which is now due in less than a month (of course I'm not using readathons as procrastination). 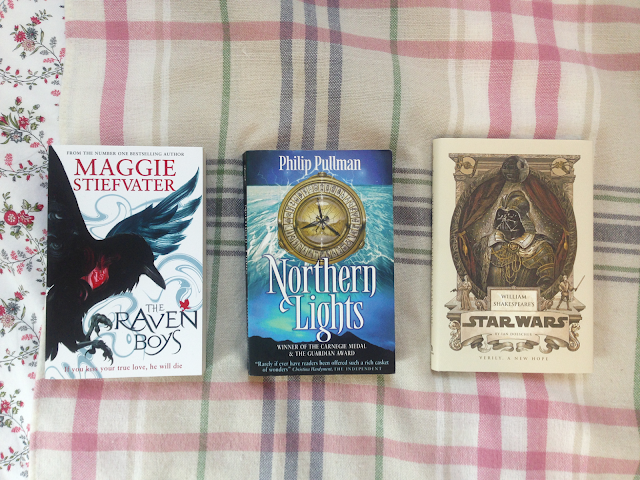 I'll probably only be reading in my downtime and writing all day, so these are my low-energy picks for the week 17th - 23rd August: Maggie Stiefvater's The Raven Boys, Philip Pullman's Northern Lights, and Ian Doescher's William Shakespeare's Star Wars: Verily, A New Hope.